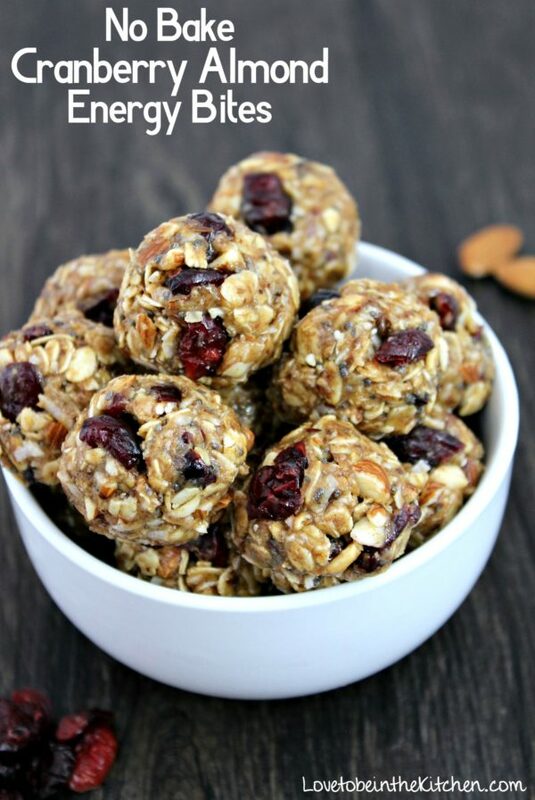 No Bake Cranberry Almond Energy Bites- A delicious energy-boosting snack! Filled with healthy ingredients like chopped almonds, oats, flax seed, craisins and more! 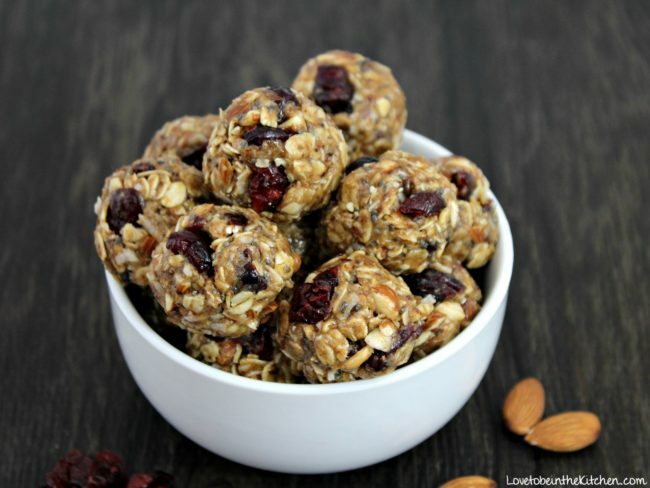 No Bake Energy Bites are one of the best snacks ever! These little bites pack a powerful energy punch! From No Bake Monster Cookie Energy Bites to No Bake Chocolate Cookie Energy Bites and No Bake Toffee Energy Bites I am a big fan! I absolutely love how just eating a couple gives me the energy I need for a couple hours to keep going in my busy life! The ingredients are simple but together totally amazing! 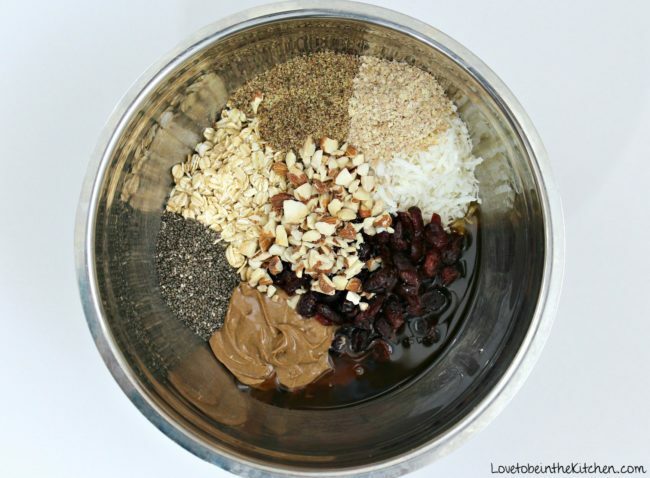 Oats, almond butter, shredded coconut, flax seed, chia seed, wheat germ, craisins, chopped almonds, honey and vanilla. If anyone was wondering I just bought whole almonds and chopped them up. Feel free to change the ingredients up a little if you’d like as well. This recipe is forgiving. If it seems a little dry just add a little more almond butter or honey and if it seems too wet add more dry ingredients like oats etc. I’m not crazy about nuts but loved them in these energy bites. The craisins and the almonds go perfectly together! This is such a yummy snack and perfect to take on-to-go as well!